TRUST the Japanese to come up with some stylish, fashionable surgical masks to protect you from the flu viruses. I want to get my hands on one of these. 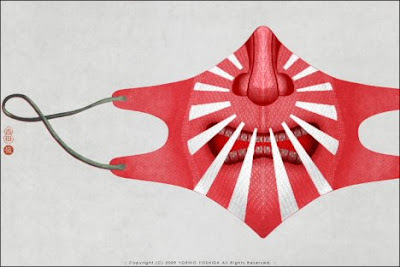 ...and the Rising Sun mask of Yoriko Yoshida, a well-known Japanese illustrator.